If your office is offering the best dental care and amazing customer service, then you are hearing compliments from your patients each and every day. The question is, are you making the most of those compliments? The team is accustomed to hearing compliments from patients, and it has just become par for the course. That’s a good problem to have, but it’s important to take advantage of those compliments when you hear them. Team members don’t know what to say when receiving that compliment, other than the standard response of “thank you,” which is what we were taught to say as kids when someone complimented us. There is nothing wrong with saying thanks, for sure, but don’t stop there! It’s the vital next step that can turn that compliment into an asset for your office. Many team members are not particularly outgoing, and generally it takes someone who is comfortable communicating to ask for a referral or review. This takes practice, and without practice it does not come naturally. You may have noticed that I use the words “referral” and “review” almost interchangeably. They are two different things, of course, but they hold the same positive marketing power for your office. 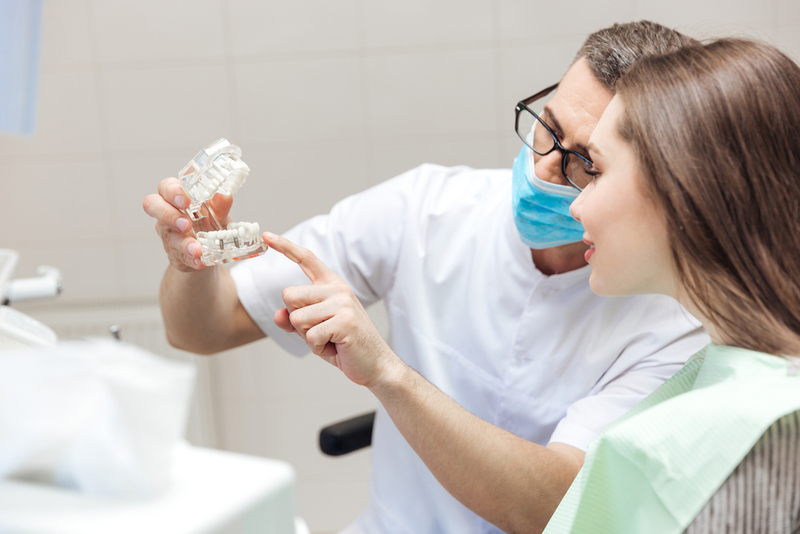 We all know that a referred new patient is the best, and ultimately that’s what we’re looking for, but some of our patients might not have anyone to refer or they have already referred all the people that they know. The next best thing is a review, which can lead to other people self-referring based on the positive message of the review. 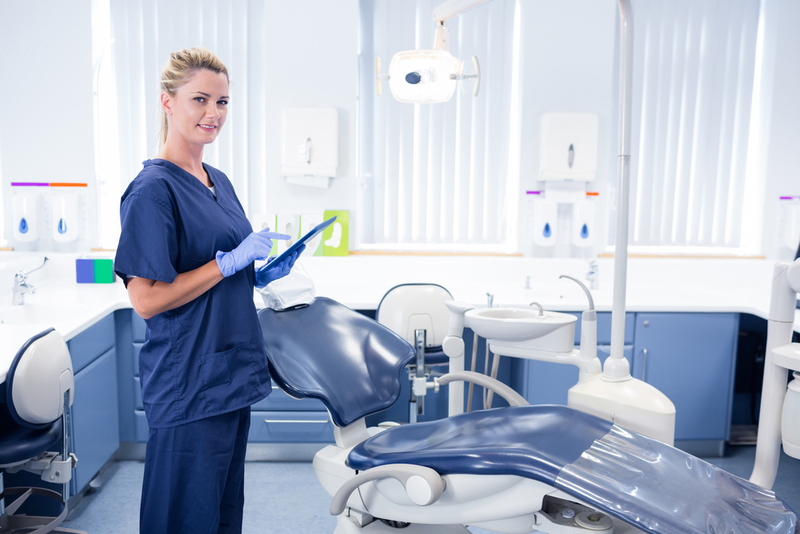 When a great patient puts a review online about your office, it will have the same power as a word-of-mouth personal referral for people who are on the Internet looking for a new dentist. The more great reviews you have, the more likely it is that the potential new patient will call your office. That’s because social proof is so powerful; it makes new patients feel as if they had been personally referred by all those people leaving good reviews. As I’ve said, the way to get referrals or reviews from good patients is to come out and ask for them, and this is usually best done by a trained and outgoing member of your team. But the fact is that the more people on your team you have asking patients to put in a good word for your office, the more likely it is that those reviews and referrals will actually happen. Here’s how you can prepare all of your team members for this new policy of asking for referrals and reviews. Give them exact suggestions for how to reply when a patient says anything nice about your office, your dental care, your team, etc. Anytime a patient says something positive about your practice, the employee should start with a thank you and then go immediately into the request. Here’s an example of wording that you might encourage your team to use: “Thank you, Mrs. Smith, we are so glad to hear that you are happy with our office. You know, it helps us so much when you tell other people about us. If you wouldn’t mind, when you leave here today, would you tell someone you know about your great experience here? Or you could go to [name of specific review site online] and type in a positive review about our office. It makes such a big difference for you to spread the word about us.” You’ll find that great patients are more than willing to help out your office by making a review or referral. Practice, practice, practice. For most of your team members, speaking this kind of request out loud to patients will not come naturally and may feel uncomfortable. The way to get around this is with frequent practice. The more they say it, the more it will feel natural to them over time. At your next staff meeting, pair up your team members and have them role-play with each other, using some variation of the above request that feels the most comfortable to that team member. Patients can tell when team members are reciting a script, but if team members practice using words that come naturally to them, patients will respond positively (and team members will be more willing to make these requests on a regular basis). When it’s done well, requesting a review or referral from a great patient will actually make the patient feel more valued by your team. And, of course, the request will be more likely to result in an actual review or referral that leads to new patients. Done right, asking for a referral or review is a win-win for everyone.